Just like that, Houston is once again devoid of a world titleholder as the two boxers who held alphabet belts were dethroned in 2018, both somewhat controversially. Their defeats are detailed in the Fight of the Year and Upset of the Year awards. For the first time in three years the Fighter of the Year award goes to a boxer who does not share identical DNA with anyone. Trainer of the Year for 2018 ended up in a tie. It was a busy year for Prograis who went 3-0 (2 KOs) in 2018, including wins over two recent world titleholders. But it was more than his body of work that won Prograis the top award; over the last 365 days Prograis unveiled a range in skillset never seen before in his arsenal. In March, Prograis scored four knockdowns en route to a second-round TKO over former double junior welterweight belt-holder Julius Indongo. Four months later, Prograis stopped previously undefeated Juan Jose Velasco with body shots in his hometown of New Orleans. In October, Prograis returned to New Orleans to take on former 135-pound titleholder Terry Flannagan in a quarterfinal matchup of the WBSS junior welterweight tournament. Against Flannagan, the southpaw Prograis unexpectedly morphed from Marvin Hagler to Hector Camacho. While the seek-and-destroy Prograis got hit with everything that Indongo and Velasco threw at him, the slick and savvy Prograis barely got touched as he outboxed and outfoxed Flannagan, dropping him in the eighth round en route to lopsided decision. 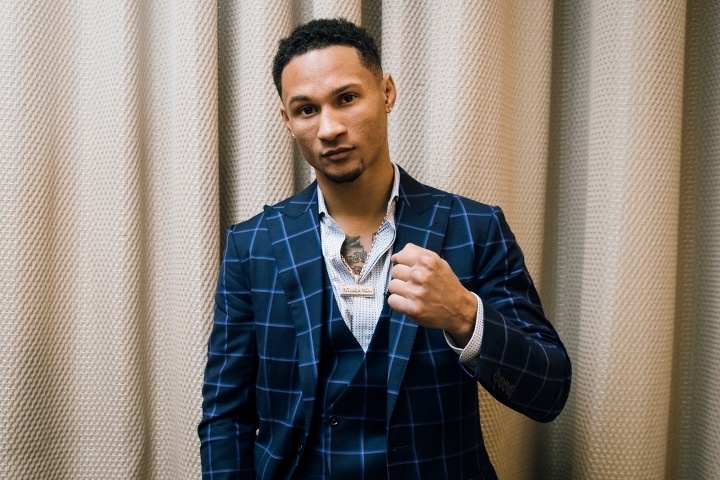 Prograis moves on to the semifinals of the WBSS tournament that is set to culminate in 2019 with the winner walking away with two of the four major 140-pound alphabet belts. Should Prograis achieve that distinction, he might well be repeat a winner of this award. Charlo went 2-0 (1 KO) in 2018, but the two wins could not be more dissimilar. In April Charlo blasted out Hugo Centeno as casually as having lunch. In December he struggled against Russian southpaw Matt Korobov who took the fight on five days’ notice. Hurd-Lara was a high-stakes showdown between two titleholders to partially unify the 154-pound championship. In the first round, southpaw Lara did what Lara does best by outboxing Hurd while remaining a infuriatingly elusive target. But Hurd’s relentless pressure forced Lara to fight in the pocket from the second round onwards. Lara, though, proved an educated brawler, held his own in the trenches and even got the better of many of the exchanges with cleaner and more accurate shots. But Hurd also did what Hurd does best which is, put his foot on the accelerator in the later rounds. Working his left hook overtime, Hurd upped the already torrid pace of the fight to dominate the late rounds. At the end of the 11th round, Lara was ahead by seven rounds to four on one scorecard and six rounds to five on the other two. But in the 11th hour, Hurd dropped Lara with a textbook right uppercut-left hook combo that earned him the victory via razor-close split decision. A tricky southpaw, Korobov controlled the first half of the fight with jolting lead lefts while evading much of the incoming fire. Fighting with more urgency, Charlo rallied in the second half of the and almost stopped Korobov in the final round to win a decision that was much closer than the scores of 119-118 and 116-112 (twice) suggested. Centeno (26-2, 14 KOs) was as tall and lanky as Charlo and was coming off a career-best, one-punch knockout of previously undefeated Immanuel Aleem, but nevertheless entered the ring a substantial underdog. Still, he was expected to give Charlo some trouble with his boxing and punching ability. Instead, Charlo (28-0, 21 KOs) barely broke a sweat in taking out the Californian. After Charlo won the battle of the jabs in the opening round and the writing was on the wall. Early in the second round, Charlo deployed the jab to set up a multi-punch combination punctuated by a pinpoint left hook to the chin that dropped Centeno along the ropes for the full count. Charlo was widely viewed as a leading contender to challenge Gennady Golovkin and Saul “Canelo” Alverez, the two superstars in the division. But he was also considered too high-risk and low-profile for either to want to take on that challenge. In blowing away out Centeno as effortlessly as he did, Charlo certainly raised his profile but also his risk factor. Prograis relentlessly tore into Indongo from the opening bell and never allowed Indongo to establish his awkward rhythm that troubled so many of his previous opponents. He dropped Indongo at the end of the first round and thrice more in the second for a TKO, emphatically stating after the fight that he had outdone Terrence Crawford who needed three rounds to dispose of Indongo. An alternate on the 2012 US Olympic team, junior lightweight Foster seemed poised for a promising pro career. But dealing with logistic and legal problems, he faltered as he stepped up in competition losing his ninth and 12th fights in 2015 and 2016 respectively. On paper at least, he was all but written off as wasted talent. In the opposite corner, Fernandez was a young, exciting and undefeated crowd pleaser. A high-volume puncher with good power and killer instinct, the Spaniard had generated significant inroads into the American market by fighting on ShowBox on three occasions. He was promoted by former middleweight champion Sergio Martinez. But fights are not fought on paper and Foster refused to be a stepping stone. Foster (14-2, 8 KOs) established a rhythm and executed a gambit that befuddled Fernandez (17-1, 15 KOs) from the outset. Moving side to side, he whipper-snapped his jab forcing Fernandez to constantly reset. At opportune moments, he lured Fernandez into jolting lead rights and sneaked out the side door before Fernandez could return fire. Fernandez began fighting with more urgency late in the fight to no avail as Foster slipped, slid and counter punched his way to a convincing unanimous decision victory. Had the judges scored this fight like the vast majority of the boxing public, Charlo would have been in a neck-to-neck finish with Prograis for Fighter of the Year. Charlo pressed the action throughout, dictated the tempo and forced Harrison to fight in retreat. Rattling off multi-punch combinations and spearing Harrison to the body with a straight right, Charlo won the majority of the exchanges and finished strongly. Harrison found his mark with picturesque head-snapping jabs and occasional counter punches but they were too few and far between to change the momentum or steal more than a round or two. But at the end of the day, the ringside jurists unanimously gave the fight to Harrison by scores of 115-113 (twice) and 116-112, which was approximately how most ringside observers scored it, only in reverse. Houston Boxing scored the fight 118-110 for Charlo. CompuBox had Charlo landing more punches in nine of the 12 rounds and out-landing Harrison 160-128 overall. Besides Upset of the Year, Harrison-Charlo also gets the unofficial award of robbery of the year. Utilizing springy legs and a snappy jab, Foster (14-2, 8 KOs) exposed and literally ran circles around the highly-touted, previously-undefeated and well-connected Fernandez (17-1, 15 KOs) while boxing his ears off over 10 rounds. Lara controlled the first half of the fight but Hurd came on strong in deep waters, like he always does. After 11 action-packed rounds, Lara was ahead 105-104 on two of the judges’ cards and 106-103 on the third. Had Lara won the final round, he would’ve won a narrow unanimous decision. Had he stayed on his feet but lost the round, the fight would’ve been a majority draw. It was that close. Hurd needed to drop or stop Lara in the final round to win the fight, and drop him he did. Lara was crouched in a defensive shell when Hurd lifted his head with a right uppercut and followed with a left hook that sent Lara to the canvass. Lara beat the count and survived the rest of the round but the 10-8 round was enough to earn Hurd a split decision by the narrowest of margins – 114-113 (twice) and 113-114. Ajagba (8-0, 7 KOs) put his awesome punching power – his sledgehammer right in particular – on display in 2018, going 5-0, 4 KOs over the past 12 months with all four of his knockouts coming in the first round. But it was Ajagba’s lone none-knockout victory that perhaps most underscored how terrifying his punching power is; Curtis Harper avoided colliding with Ajagba’s fists by stepping out of the ring and walking away as soon as the opening bell rang for a first-round disqualification. The 6-foot-7 heavyweight needed less than five rounds to dispose of his five opponents who spotted a combined record of 36-12-2, including previously undefeated Nick Jones (7-1, 2 KOs). Representing Nigeria, Ajagba, 24, made it to the quarterfinals of the 2016 Olympics before relocating to Houston in 2017 to train under Ronnie Shields. He is promoted by Richard Schaeffer’s Ringstar Sports. Foster reinvigorated his stagnant with a masterful win over a streaking young prospect in Jon Fernandez, elevating himself to Fernandez’s former position. Between the co-winners of this award, Shields and Benton-Navarro worked the corners in six of the seven award winners. Shields has Jermall Charlo, Lara and Ajagba in his stable at the Plex Gym, and Benton and Navarro are the co-trainers for Prograis and Foster at the Main Boxing Gym.